Hi, i’m an illustrator. I have been working for many illustration projects since 2008, most of them are children-books and other illustration for products. In drawing, my favourite subject is animal especially bunny, i like to create distinctive character design from a mixture of realism and imagination. – Kelir Forest, Plaza Indonesia 2010, Indonesia. – KELIR Secret Safari, Gandaria City, Indonesia. – World Book Day Indonesia, Museum Bank Mandiri, Indonesia. – Kelir Fest – Goelali, Indonesia. – Asian Festival Children Content, Singapore. – Bologna Children’s Book Fair – Settimana del libro e della cultura per ragazzi, Bologna, Italy. – Art with heART – Pameran Kreatif Anak Negeri – Galeri Alun Alun Indonesia. – Festival Dongeng Bandung di Gedung Indonesia Menggugat – Pameran 5 tahun Kelir, Indonesia. – SCBWI, Selasar Sunaryo Artspace, Bandung, Indonesia. – Room to Read Book Launch, Pullman Hotel, Indonesia. – Kelir x Ganara Art Gallery, Senayan City, Indonesia. – Biennial of Ilustration Bratislava 2017, National Museum Slowakia, Bratislava. 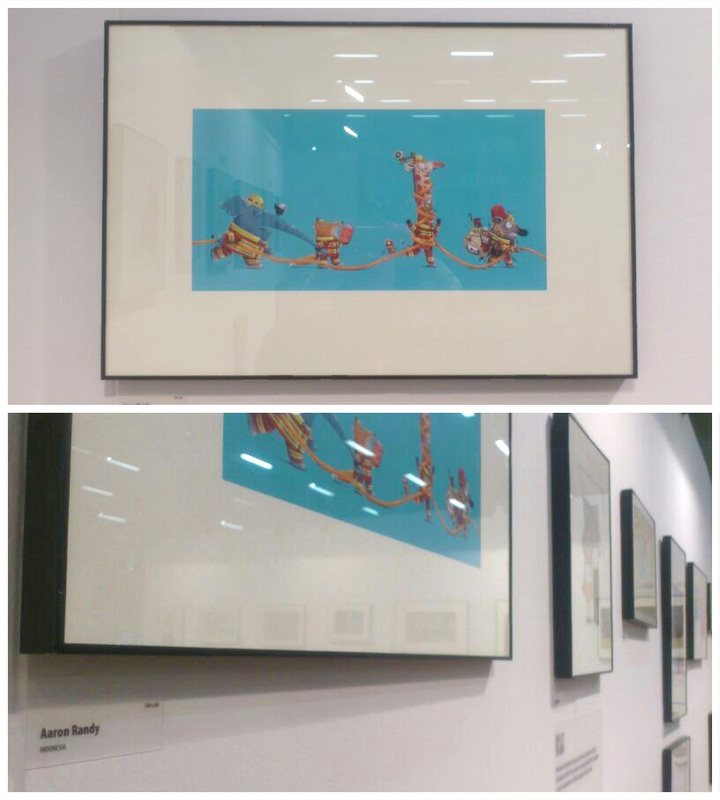 – ‘The Lazy Dog Jumps Over The Quick Brown Fox – Part II’, DGI – Japan Foundation, Smarta Gallery, Jakarta, Indonesia. – Semarang International Illustration Festival 2017, Gallery B9 of the Universitas Negeri Semarang, Indonesia.